The good: The pills have one decent ingredient: caffeine, but you can find this in coffee. None of the other ingredients are substantiated. 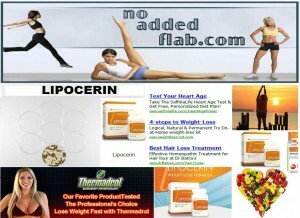 Lipocerin and Thermocerin are sold by the same company (Review of Thermocerin here). The two websites look highly similar, possible copies? According to the website, Lipocerin is created by “one of the leading manufacturers of natural wellness and skincare products.” Upon a closer look at the corporations search in Florida, the mother company, Nutritional Science Laboratories was dissolved, involuntarily, in November of 1985. The website, however, states the company was founded in 1990. Looking more closely at the company, there is no contact phone number listed on the site. But, I did manage to find a customer service email address. The listed email is [email protected] I contacted the email address and eventually received an email back from a service rep. I normally would not care if there was not a listed phone number, but when the mother company was dissolved 32 years ago, a phone number seems very important. That would be a strike! Update: The phone number is listed on the right side of the label. The number is (800)580-2341. 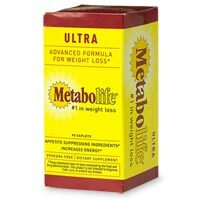 The general ingredients are every day vitamins and minerals. There is Vitamin B-1, B-2, B-3, B-6, and B-12. As for the “fat burning” side of the story. Chromium Picolinate – The body uses Chromium to metabolize glucose by insulin. But, the body gets all the chromium it needs through food and there are no studies that prove additional supplementation helps the body to burn fat or stabilize blood glucose levels. My full review of chromium here sites the in depth details of the supplement. Caffeine – The best ingredient on the list, caffeine (reviewed here) has been proven to increase metabolism and help the body to burn more calories. Unfortunately, Lipocerin only includes 50mg of caffeine, the same as one diet cola. Unless you are running while drinking that diet soda you will not get much return on investment. To summarize the ingredient list, Lipocerin is a supplement that will do nothing in the body. Hoodia, not proven effective. Chromium, not proven effective. Caffeine, proven effective, but in much larger doses. Lipocerin is filled with lies and false claims. Even the study they quote has been misrepresented, see both quotes here. Remember I found that phone number? Well, I called and this is how the conversation went. Me: Hi, I’m wondering if you’ve had any success using Lipocerin? Lipocerin Rep: Oh yeah. A lot of our customers have had great success with it. I have my coworker that takes it and she loves it. Me: Really? She lost a lot of weight with it? Lipocerin Rep: Uh huh. She went from 220 to 140. Me: Good grief! How long did that take? Lipocerin Rep: She wasn’t even doing it well At least three months now. Me: She went from 220 to 140 in three months? Holy smokes she must look really different. Lipocerin Rep: Yeah she does. Wow, that means you can lose 1 pound per day on Lipocerin. Really? No, not really. This is a lie. At the end of the day, Lipocerin is a product that is simply not worth the money you will spend. 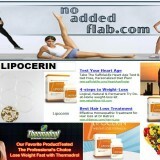 Lipocerin is a total and complete scam!! !